Velka Fatra belongs to one of the best preserved mountain ranges in Slovakia. Its borders are determined by Liptovska Kotlina on the north and east, Turcianska kotlina on the west and the foothills of Kremnicke Hills on the south. This mountain range is characterized by the main ridge divided into two parts, namely Liptovska and Turcianska. The highest peak is Ostredok (1592 m). Tourists are charmed by impressive valleys, such as Ľubochnianska valley, Necpalska, Zarnovicka, Belianska, Gaderska and Hrabovska valley. The most popular peaks of this mountain range are Tlsta, Ploska, Cierny kamen, Majerova skala, Suchy vrch, Drienok and Kralova studna. You can reach Velka Fatra through Necpaly, Ruzomberok, Donovaly, Banska Bystrica, Liptovske Revuce or Liptovska Osada. You can find here great natural treasure – abundance of well-preserved forests of the Carpathian type with trees including pine, beech and fir. The mountain range Velka Fatra holds European primacy in the occurrence of common yew. 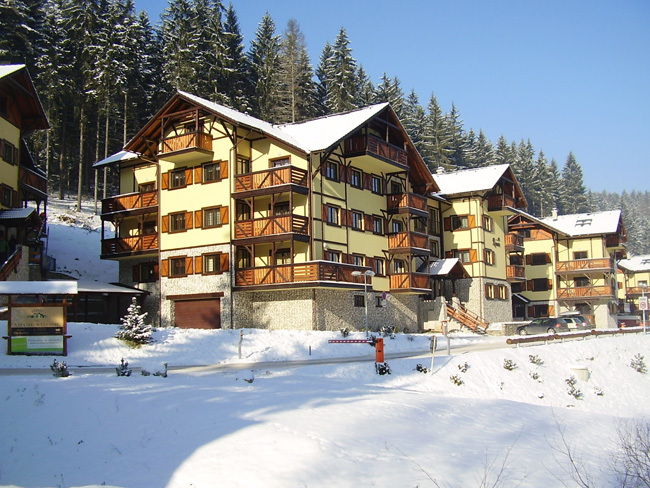 Velka Fatra Apartments are located in a beautiful environment of Hrabovska Dolina close to Ruzomberok, in a short distance from the Skipark Malino Brdo above the Hrabovska dam. Its location, services and pleasant surroundings will satisfy even the most sophisticated tourists. It is an ideal place for nature lovers and fans of hiking and skiing. It is a very popular destination for families with children enjoying their vacation in these gorgeous surroundings of Hrabovska dolina Velka Fatra. Most of the apartments offer electrical heating and underfloor heating in the bathrooms. 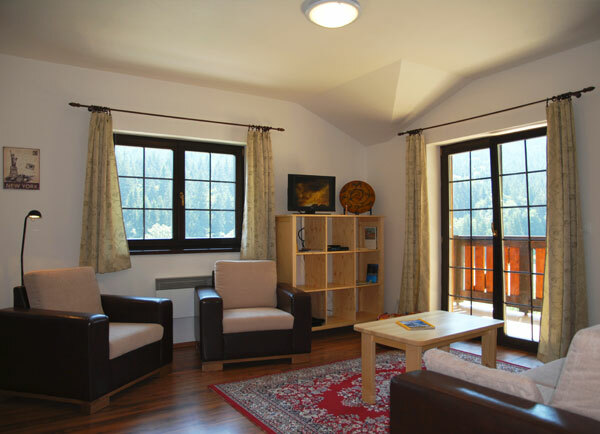 Velka Fatra Apartments have a cable TV and Wi-Fi internet connection. Some of the apartments offer a balcony. All of the apartments have fully equipped kitchen including kitchen utensils, stove, fridge and microwave. For ski lovers we can highly recommend a well-known ski resort Skipark Ruzomberok, which is located at the foothills of Velka Fatra above the town Ruzomberok. It is one of the most modern ski resorts in Slovakia offering more than 12 km of ski slopes. The longest one measures 3900 m and it is the oldest ski slope using an artificial snow in Slovakia. The skiers can use 4-chair cable car, 2 ski tows and 4 ski tows for beginners and children. Other facilities include ski school, ski service, ski equipment rental and ski bus. During the weekends you can enjoy interesting competitions and ski events for the whole family.